November 22, 2016 By Editor & filed under Blog. Meet Paul Sellers, winner of the “Best Hand Tool Blog” category in the 2016 WWGOA Blogger Awards! 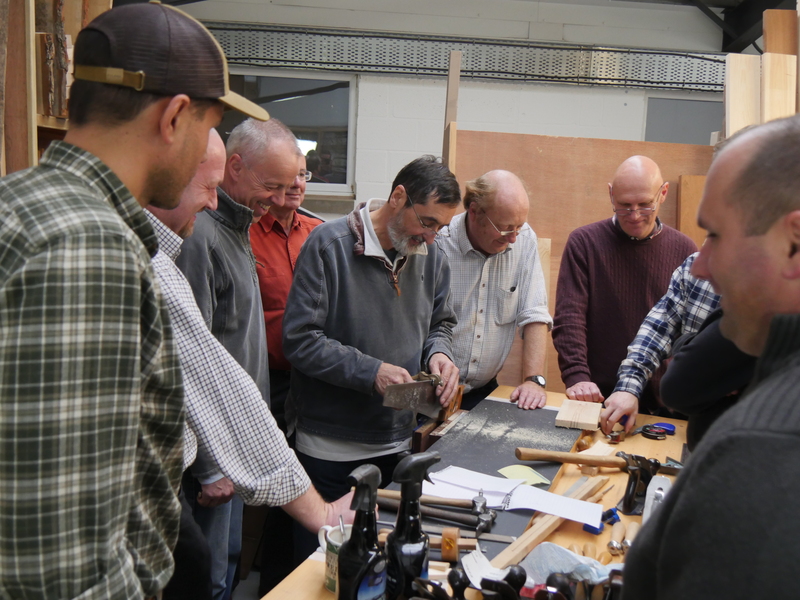 October 2016, WWGOA hosted a competition dedicated entirely to all those talented woodworkers out there who share their work with the blogosphere. We asked you to nominate and vote for your favorite bloggers, and now we’re thrilled to be able to announce the winners! 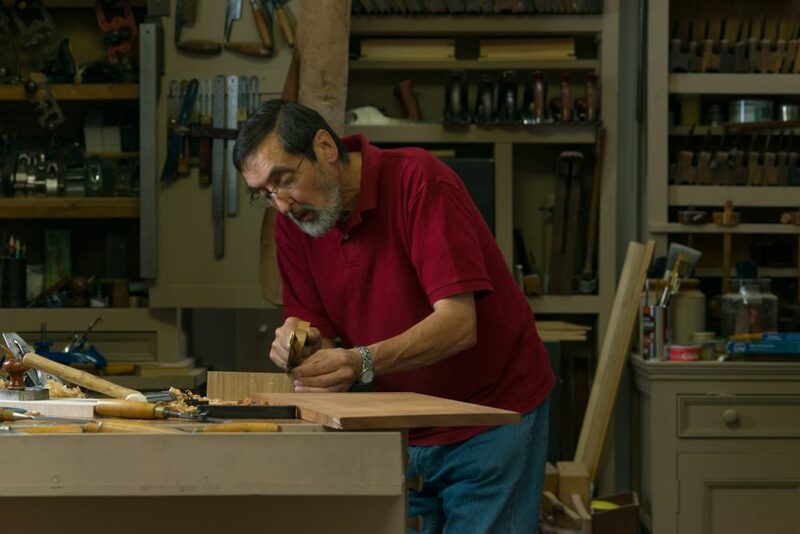 Paul has been woodworking every day for 49 years, and has spent much of his time teaching. Originally from the UK, where he apprenticed, Paul has also lived in Texas for a number of years. It was there he taught his first woodworking class, and he’s been dedicated to educating other woodworkers ever since. Find more of Paul’s work on his website and blog, PaulSellers.com. We asked Paul to share a little about himself, his blog, and his work so the WWGOA community can learn more about this talented woodworker. Read on. Q: When did you first begin woodworking? Paul Sellers: I began woodworking in school in 1963. That’s where I developed my first projects. From there I knew I wanted to be a woodworker when I left school, and at 15 I started my apprenticeship. Q: Who taught you how to woodwork? After school I apprenticed a man named George Mycock, a master joiner. Q: What was your first project? After learning the basic joints I made a wall-hung shelf in mahogany. Q: What is your favorite type of project to make in the shop? I don’t really have one. The projects are more the vehicle for me to be creative so it is always the process I love rather than the project. That said, I have enjoyed everything I ever made from the simplest to the most complex. 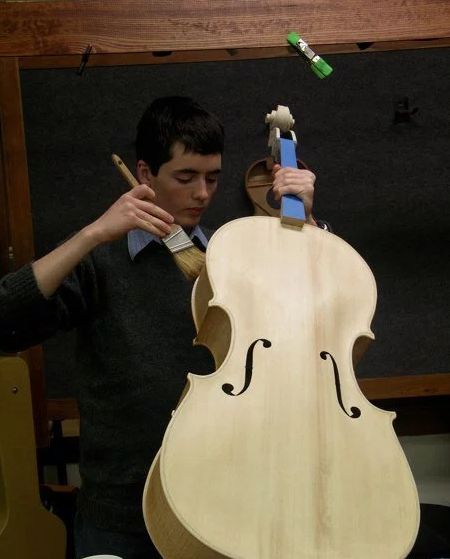 My favorite project of all though was making a cello for and with my son Joseph. Q: What is your shop like? It’s simple enough. As 95% of my work is with hand tools the whole process is simplified. Though I have many hand tools I rely on only two or three dozen in the everyday of my work. I am making a cherry dresser with three drawers. All of my work will be hand work only. Q: What project have you been most proud of? I designed two credenzas for the Cabinet Room of the White House in 2008-2009. I felt very proud of them. Q: What woodworking tool could you not live without, and why? This is always a tough one because all tools do different tasks so your favorite one will usually be the one you rely on in the task. But my son Joseph made me a spokeshave once from bronze and I would hate to lose it. Then on the other hand I have a Stanley 4½ I bought as an apprentice and still have that after over 50 years later, so that too is one I would hate to lose. Q: What’s your favorite species of wood to work with, and why? Mesquite will always be my favorite because I have harvested so much of it, and it is a phenomenal wood in so many ways. It has stunning character, beautiful rich grain and is probably the most stable wood in the world in that once dried and seasoned it seems never to distort. It also reminds me of over two decades working with it in Texas. They are some of my fondest recollections in woodworking. Q: What’s your favorite thing about woodworking? The reality that I can only make something from wood but I cannot make the tree. This limitation humbles me. Q: What would you say to someone who is just beginning woodworking? Choose lifestyle woodworking as I did. A way of life that revolves around this being your calling in life rather than some kind of money spinner. Ignore those who say you can’t make your living from it and be prepared to work twice as long to make it all happen. Don’t let anything get in your way and just live for the day. I love your show when I’m able to watch it. I’m disabled and can’t do much, I’ve built houses an many toys for my kids and grandson. It truly is a passion to work with wood. Congratulations Paul, a very worthy winner. – yes I did actually vote for him . Thank you George, wwgoa for running the competition. Cheers from Perth, Australia. Paul Sellers is the best. You do good job really, you are very talented indeed. You can do woodworking, teaching, talking and be human person after all. What more can man ask for more. This ” letter” was written by Pekka ( Paul or Peter) from Finland.